Founded 50 years ago, the Michigan Society of Eye Physicians and Surgeons (MiSEPS) represents Michigan ophthalmologists and their patients. Its priorities include legislative advocacy,interaction with third-party payers about reimbursement and coverage issues, public education about eye care, continuing medical education for ophthalmologists and their staffs, and public service to the underserved. 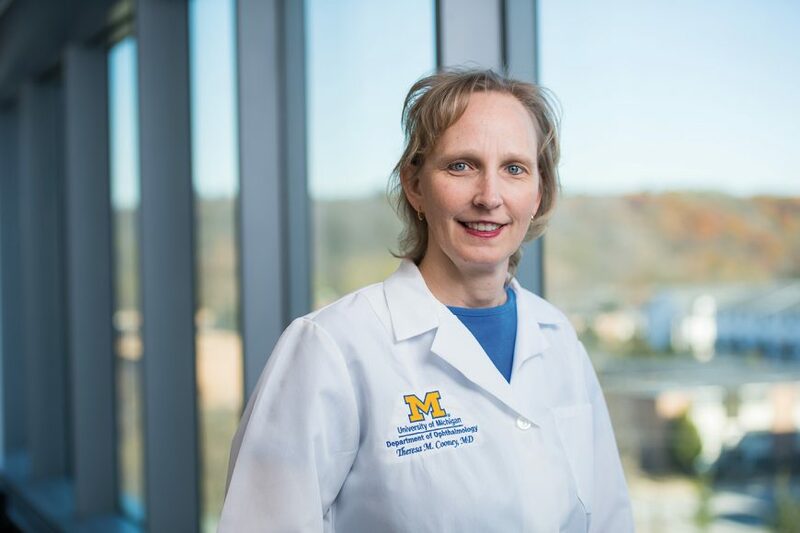 “I will do my best to acquaint trainees with the practice issues we face in Michigan and around the country,” she adds. Kellogg faculty participates extensively in the MiSEPS organization. Jerry Finkelstein, M.D., is the MiSEPS delegate to the AMA House of Delegates. Christopher Hood, M.D., is a regional director. Denise Kim, M.D., was a program co-chair for the 2017 annual MiSEPS meeting in Grand Rapids. She and Manjool Shah, M.D., will be co-chairs of the program at the 2018 meeting on Mackinac Island.